A 360° virtual tour is a simulation on a specific location, which is composed of a sequence of 360° photographs. With the help of specialist software, 360° images are being linked together to create a a virtual tour, with the viewer “located” in the middle of the image. 360° technology used to create this type of tour does not only allow the user to move from left to right and back to front throughout the location, but also look up above them and on the floor below them. They can zoom in and out, which allows them to see particular details of interest as well as have an overview of the whole wider​ area. ​​Experience a full 3D tour with a virtual reality headset. ​Create a tour of any place, even if your business happens outside in open air. ​Each 360 Tour is custom created to match your business needs and location. 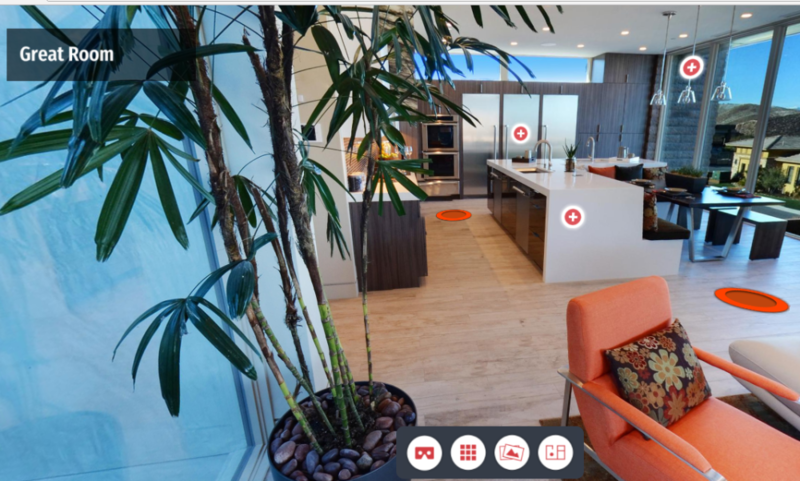 What Types of 360° Business Virtual Tours are available? Our customers can choose between a Google Street View Buness Virtual Tour and a Bespoke Virtual Tour. A Google Street View Business Virtual Tour is uploaded to your business listing and address on Google maps and appears on every search run for your company, allowing anybody to view those, Bespoke Virtual Tours are fully owned by you and can be used for a selected audience upon your consideration on and/or offline. Both types of the Virtual Tours are aiming to help the businesses stand out from the competition and showcase the best available facilities and equipment the company can boast of. Both types of the tours would begin from the outside of the building, including such valuable outside facilities as car park and wheelchair access, and take the viewer inside through the entrance doors. Once inside, a viewer will have a chance to look around, up and down in 360° view and move further inside, following the natural flow of the premises. They would allow the viewer to look into separate rooms, or should the room have multiple entrances and exits, choose which way they would like to go next, and make their way back out again upon completion of the tour.